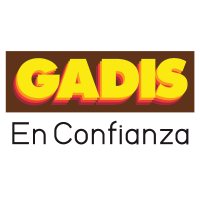 @gadis is the official account of Supermercados Gadis, a Spanish supermarket chain with stores in Galicia and Castile and León. The company uses the account not only to highlight promotions, but also to interact with customers on a more personal level. #Gadismúsica has become an annual event to showcase the company’s sponsorship of summer music festivals. This engagement campaign centred around the brand’s association with music and the arts. The 2018 campaign involved a music quiz with tickets and passes up for grabs as prizes. The intended audience was a broad cross-section of music lovers aged 18 and over, living in the regions where Supermarket Gadis operates. “Twitter is a key element in #Gadismúsica, since it helps us reach more specific targets like music and festival lovers, besides having a very good impression rate." The #Gadismúsica, campaign tapped into the passion that people have for music by focusing on specific artists or upcoming concerts. Questions like “what song would you like to hear?” or “who would you take with you?” encouraged engagement and acted as a call-to-action. This ensured that the Gadis brand was kept top-of-mind at all times. Supermercados Gadis is proud of the friendly relationship it has built with its customers. Whether sharing a joke, imparting knowledge, or answering a query, its staff always aim to make every interaction on Twitter positive. In this campaign, they used a specific challenge to attract and hold the customer’s attention. The Supermercados Gadis team found the broad range of targeting options available on Twitter to be particularly useful. They used the similar account targeting option to make sure that the impressions they were getting were from a genuinely interested audience. And by closely tracking the results from #Gadismúsica, they could see which content was working best for them.